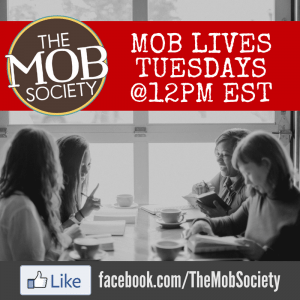 Welcome to Guest Post Month at the MOB Society! Today’s post is Julie Sanders, author of Expectant: 40 Devotions for New and Expectant Moms, and the mother of two children. Please welcome her! We found a bench up against a cool, aqua-colored, cement wall. Black-eyed children peered at us. The teacher called out my boy, repeating his name for all to hear, firing questions at him in her strange language. Armed with enough words to follow her inquisition, I knew she meant to lower our status in our adopted country. Laughter rippled across the room and grew into a wave, wafting through barred windows and past palm trees. My boy shrunk tight in his space, clenching fists, flashing looks of embarrassment under wet eye lashes. In my heart I murmured objections God-ward. This was not the welcome a mom expects for her small son, this stripping of dignity. Guarding Your Boy’s Dignity. New from the #mobsociety! My all-girl upbringing taught me nothing of a boy’s dignity. In studying our son, I saw the unfolding of a future man figuring out his part in a world that sometimes laughs, rejects, or excludes. Seeds of embarrassment are as varied as the sons we mother. A mom must study her child to understand what speaks “ridicule” to him. To minimize shame or answer it with laughter is to water seeds of self-doubt. 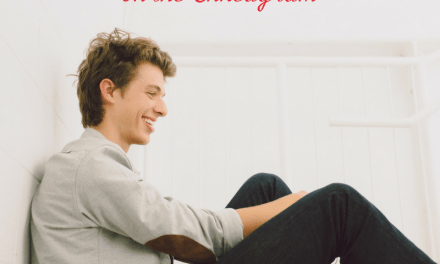 Sweeping it aside with, “Why are you so shy?” or “Don’t be a stick in the mud,” a parent may convince a boy he is hopelessly and foolishly flawed. Unchecked embarrassment leads to parasites of insecurity. God once spoke words of affirmation to an overwhelmed young man, saying, “Have I not commanded you? Be strong and courageous. Do not be frightened, and do not be dismayed, for the LORD your God is with you wherever you go,” (Joshua 1:9). Without an advocate, the Enemy’s messages of inadequacy resonate loudly, suggesting boys become men who retreat and withdraw. Teaching a boy to feel foolish trains a man to feel inadequate. No mother sets out to sabotage a son’s self-respect, but a son’s dignity may be inadvertently sacrificed for his mama’s enjoyment. Pictures of a toddler in a tub may pose a temptation when friends drop by. Images of a small boy in a tutu beg to be posted on Facebook. Urges to share his musical talent may disregard a son’s reluctance to perform. When we fail to guard our son’s delicate dignity, we wound his foundation. There’s no doubt life will take its toll on a man, even assault him at times. 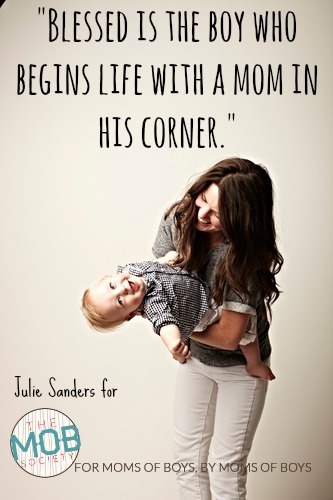 Blessed is the boy who begins life with a mom in his corner. <<– Tweet That! Blessed is the boy who begins life with a mom in his corner. With maturity comes perspective to laugh at himself or face mockery courageously. All boys must navigate weaknesses and blunders, but a mother who guards her son’s dignity prepares him to enter manhood on firm footing. Boys gain confidence from hearing, “fear not, for I am with you; be not dismayed, for I am your God; I will strengthen you, I will help you, I will uphold you with my righteous right hand.” (Isaiah 41:10). When hardships call for moms to soothe the sting of mockery or apply a balm to wounds from boyhood bashing, how does a mom strengthen her son? Wait. Set a precedent of respect by allowing time to make a decision. Instead of hurrying when he feels unprepared, honor his freedom to assert himself. Patiently wait, instead of sabotaging emerging confidence. Affirm. As he finds his footing, point out his strengths and your confidence in him. In a world quick to find fault and label him “foolish,” our boy needs affirmation. Listen. Bless him with your attention. Be available to hear his thoughts, recognizing his value and the worth of his contributions. Love. Set boundaries for watching over one another. Siblings and parents should never be the cause of shame and embarrassment. Establish ground rules for loving each other. Someday in life, every boy will experience the gaze of peering eyes. My once laughed at boy now loves the language of the once foreign region and dreams of finding his place there. When we guard the dignity of our son, we prepare him to look back at the world with understanding, confidence, and strength. 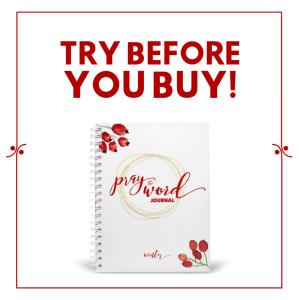 About JulieJulie Sanders is the author of EXPECTANT: 40 Devotions for New and Expectant Moms and is the mom of two, including one teenage son who prefers to eat with chopsticks. 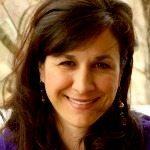 Married for 23 years, she helps women around the world discover that mothering is as much about growing a life as growing a family. Find more from Julie at Come Have a Peace and find her ebook EXPECTANT here. Follow her Tweets at @JulieSanders_ and on Facebook. Good advice here. I’ve had to stop myself a time or two from taking a picture, or posting one that would be detrimental in the future. Some things I’m storing in my heart and mind for no one else but me. I love that, Amy, and some of those treasures are the sweetest of all! This is EXCELLENT! I have an overconfident 13 year old daughter, and she has started picking on her 10 year old brother (going through puberty early) and mocking him from time to time. I know some of this is normal, but some of it is jealousy because he’s a beautiful boy! I will have her read this, she is very mature and she’ll see that it’s ALL of our job to help foster confidence in her brother! This is great! I also grew up in an all girl home (2 sisters and single mom) so this boy thing is new to me. I can see how my 7 yr old lights up when he knows his mom and dad are behind him and for him. I have learned to check with him before I post anything to Facebook or Instagram 🙂 Thank you! This is a wonderful post. I’ve always been my son’s advocate. It is truly amazing when we see our son’s growing up, and we must understand the delicate balance we should play as a mother. Thank you so much for sharing this…..it came right when I needed it! Excellent words Julie!! 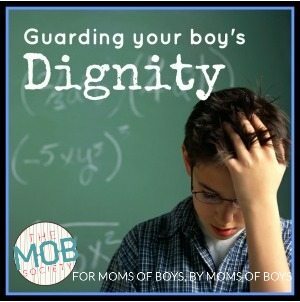 As a mom of 7 boys I have been guilty in the past of sacrificing their dignity. I didn’t grow up with brothers & it wasn’t until my husband gently called me on it did I understand. I’m proud of my boys and the godly young men they are growing into.